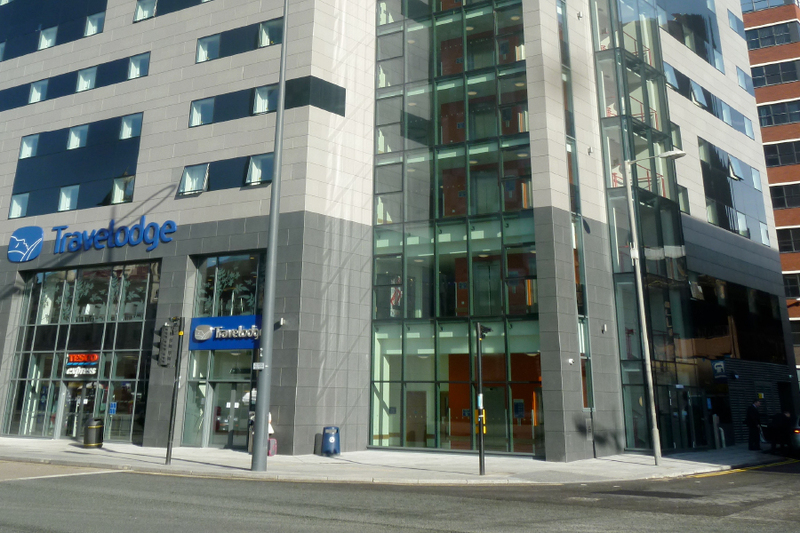 The project involved the design and construction of a new 10 storey hotel development for Travelodge. The hotel included 200 bedrooms, a restaurant and bar and a ground floor retail unit occupied by Tesco Express and associated at grade externals and hard standing. The site is located in a prominent position on the waterfront in Liverpool, opposite the Liver Building and the Albert Dock. Construction of the project was completed in 2012. Fairhurst were appointed to provide all civil and structural engineering design on the scheme including foundations, below ground foul and surface water drainage systems and external works. The design of the superstructure included a 3 storey hot rolled steel framed podium structure to achieve the open plan architectural layout required in the communal areas in the lower storeys and also support the upper 8 storeys of bedroom accommodation. The upper storeys were formed of light gauge steel frame construction. Fairhurst also provided specialist geo-environmental advice which included the categorisation of material excavated from previous basements on the site, and the engineering of bespoke foundation solutions to minimise the amount of excavation and grubbing out of existing foundations required. Through close liaison with the local water authority Fairhurst were able to maximise the allocated surface water discharge consent from the site and therefore reduce the quantity of on site attenuation required. The building was designed to achieve “Very Good” BREEAM rating.